The first Ride of Silence (ROS) took place in 2003 in Dallas, TX, after endurance cyclist Larry Schwartz was killed by the mirror of a passing school bus. Out of that tragedy grew an annual international event where cyclists worldwide participate in a silent slow-paced ride in honor of those who have been injured or killed while cycling on public roadways. We have been holding a Ride of Silence event in my community since the death of our friend Fess Green 9 years ago, and I’ve written about it twice. The posts here and here offer more history and photos about the ROS. Cyclists take to the road at 7pm their local time, and this year there were 416 Registered Events, from all 50 states, all 7 continents, and 38 countries. 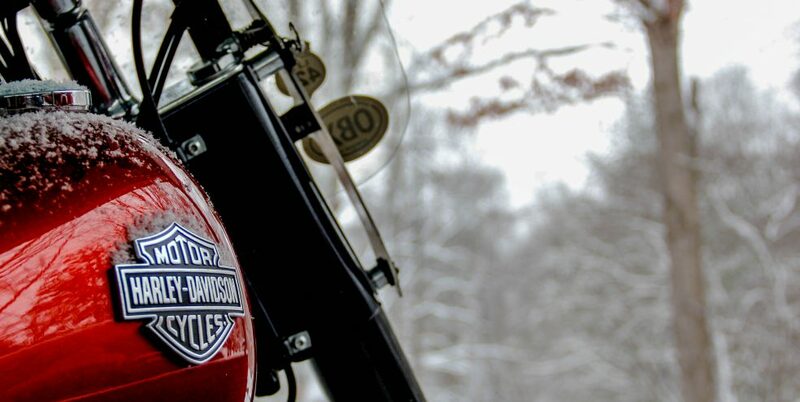 The Ride of Silence – NRV is one small part of that massive international ride. It’s incredible to know that thousands of people the world over, are riding at the same time, for the same cause. Our small locality has had as many as 100 cyclists, of all ages, turn out to ride. This year the cold temperatures and drizzling rain kept some folks at home. The 35-40 riders who showed up despite the weather were safely escorted through the ride route by officers from the Radford City Police Department. We are fortunate to have the support of the local government and police department year after year. We ride in silence, at a slow, reflective pace and whether on bright, sunny evenings, or when it is chilly and damp, it truly is a powerful experience. I’m thankful to have a passionate group of people on the planning committee who believe in the mission of this organization, and work together every year to make the event happen. This entry was posted in The Ride of Silence and tagged Bicycling, Cyclists, Ride of Silence, Ride of Silence - NRV, Share the Road. Bookmark the permalink. Laurie, thank you so much for helping to raise awareness in your community and the need to keep bicyclists safe. It’s a great event, but one I wish wasn’t needed. Is there an event in you area? If not, share the news with a local cycling group. It’s really not hard to get one an event up and going, and we’ve spent maybe $100 over 9 years. No t-shirts, what PR we have is electronic, printed on home printers, and by sending out press releases. Laurie, I looked this up and they had a ride right here in Appleton from the bike shop that I frequent. I could have joined in! I will have to make a note for next year and get involved. I never knew this existed, so thanks again for the blog post and heads up. Excellent! I’m so glad you followed through. They will love having another rider! Put that reminder in your calendar and we will be riding together in spirit, and in honor of those injured or killed. We have a ride of silence annually here as well. We must all learn to share the road with one another to stop all of the terrible losses that occur each year! I’m glad you;ve heard of this event, Lynn. Many who commented on this post, have not heard of it. I had not heard of this but then I don’t ride a bike of any nature. I think it’s good to bring awareness to people that the road must be shared. My first husband and son both rode motorcycles to work and could tell what kind of day they would have by how many people tried to run them off the road. If I hurt someone while driving, I’m not sure I’d ever drive again. Why are we in such a hurry? Stay safe out there. Your comment about being in a hurry is so relevant, Marlene, and one I am guilty of. The bike actually forces me to take a break from work, home, and civic commitments. And of course, my motorcycle wreck two years ago was an awful reminder to be AWARE! I don’t think it’s crazy. My first husband was a better driver on a bike than in a car. More aggressive in the car. There are no guarantees in life. You have to do the things that make you feel fully alive. Oh my goodness, I’m glad you and your husband and dog were able to get out of the way! American needs to be more like the Netherlands … in many ways! If there is a cycling group in your area, feel free to share the news of this event. As I told Mary in a previous comment, It’s really not hard to get one an event up and going, and we’ve spent maybe $100 over 9 years. No t-shirts, what PR we have is electronic, printed on home printers, and by sending out press releases. Why am I not at all surprised that you’re one of the organizers of this event, Laurie? Sad that it has to exist and very sorry about the loss of your friend. Thanks for educating those of us who are unaware of this ride. A wonderful post filled with wonderful photos. Thanks for your kind words, Stacy. I have friends in this area who are cyclists, Laurie. I’ll be sure to pass your information on to them. Thanks for that! Until I read this post I had never heard of the Ride of Silence, but it is such a wonderful thing. I bicycle a lot, and there is a real need to raise awareness and to remember those killed while cycling. Sheryl, I’m so glad you a frequent cyclist! I did not know about this, but it sure is needed. Someone I worked with in the Plot Against Hunger was hit and left for dead in Maryland a few years ago. She never recovered and died of her injuries after more than a year. There are so many stories like this. I cycle on the road as little as possible, but the bike path doesn’t always get you where you need to go! Oh how awful! I’m so sorry … and angry! We hear about this too often! I love that you raised money for refugees. They surely need all the help they can get, and in this country, many of us have more than we need. Sad to say, but road safety for all is something some people need to be reminded of. They’ve recently introduced a law here where all cars must give at least 1 metre clearance when passing a bicyclist. Sad to think we need to have a Ride of Silence to remind us as well. Thanks to everyone who participated worldwide. We passed the same law in Virginia recently! Let’s hope it makes a difference. Too often motorists will injure or kill a person with no repurcussions! Which doesn’t mean that it was purposeful, but we all need to be aware of others on the road. I’m hoping that the rain you’ve had will dampen further fires! Speaking of which, I listened to a story about some refugees who had found a home in Edmonton and were burned out by the fire. They escaped one hell to find another. EXCEPT the one woman said “here (Canada) someone cared enough to tell us the fire was coming and help us get to safety”. Powerful story. Count me as another person for whom this was news–but so impressive. It must be very moving to be one of the riders. I so hope such events makes some difference. American drivers think they own the road and are so impatient with bikers and pedestrians. You are so right about American drivers. So self focused (or focused on texting). It truly is a powerful event. Great post – I also have never heard of this before. Great way to raise awareness and as a commemoration. Lisa, it is such a powerful event.